Today, I diverge to write about the 34th Annual Mississippi High School Mock Trial Competition presented by The Mississippi Bar Young Lawyers Division. I had the opportunity to volunteer for rounds one and two of the statewide competition that was held on Friday, March 3, 2017 at the Hinds County Courthouse in Jackson, Mississippi; I did not volunteer for rounds three and four which were held on Saturday, March 4, 2016. In the past, I have presided over mock trials for Mendenhall High School and Mississippi College School of Law. Those were fun; however, the way that this mock trial competition was set up for each round strikes a chord for creativity. All of the teams are given the same case; one case for all of the teams. This one case has all of the facts, witnesses, law, exhibits, and everything you would have in a real life case. The one case approach, like I do every day as Personal Injury Attorney, helping people put their lives back together after they have been wrongly injured by someone. This particular case dealt with drunk driving and the death of one kid and another in a coma, a doctor who had not slept in over thirty hours and other facts I dare not say; the best theme that I heard all day was simply “drunk driving causes death”. Three trial judges made for a unique approach for the competition. 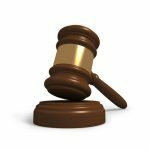 One judge acted as a presiding judge who did all of the talking, such as ruling on motions, objections, allowing exhibits to be admitted into evidence, etc., just like in a real court of law. The other two trial judges did everything the presiding judge did, except talk. The judges, without giving too much away, are looking for who gives the best argument for their side of the case. But get this, all of the teams must know the plaintiff’s case and defendant’s case like they know the back of their hands because on one round they will be arguing the plaintiff’s case and then in the next round they will be arguing the defendant’s case. The other great thing about the high school mock trial competition pertains to the teams must supply their own actors and actresses, witnesses for all us in the legal system. Those witnesses were some of the most believable and knowledgeable kids there. They learned the roles and executed them perfectly. One young lady is destined for an Academy Award. 1st place – Sacred Heart Catholic School, coached by attorneys Don Hinton and Carey Varnado. Sacred Heart Catholic School will represent Mississippi in the National High School Mock Trial Competition in Hartford, Connecticut, on May 11-13. 2nd place – MSMS Team 1, coached by Scott Colom. 3rd place – MSMS Team 2, coached by Scott Colom. 4th place – Lamar School Team 1, coached by Amanda Glover Evans. 5th place – Long Beach High School, coached by Michelle Luber. 6th place – St. Patrick Catholic High School, coached by Judge Jennifer Schloegel, Elena Guida and Dee Dee Coleson. Thank you all for allowing me to take part in this wonderful competition. In my next blog post, I will get back on track and continue on with the steps of a Personal Injury Attorney’s trial for justice. At Pepper & Odom, P.C., community service is a way of life for us. We take our kids very seriously and hope to nurture and support the next generation with love, compassion, understanding, and encouragement. 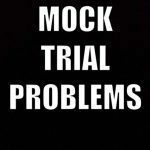 Want to learn more about Mock Trial Competitions, watch this video. 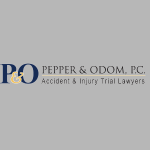 At Pepper & Odom Law Firm, we have years of love, compassion, understanding, and encouragement that we will put to work for you, give us a call at 601-202-1111.